I have a Garmin etrex which I take on many hikes. I use it to know my altitude and to mark summits. When I return to previously visited hills I can use the marked summits on the gps to bring me to the summit, or to tell me the exact distance to a previously marked summit. What I DON'T use the GPS for is to programme in coordinates and let it take me there. The reason is that I noticed years ago that the GPS coordinates don't match the summit coordinates and could be off by hundreds of metres. This could lead to missing a summit in bad weather or becoming disoriented. I am happy to use the GPS to retrace my route, and have done this on many occasions. But the big issue for me is: Is my GPS faulty or is an error of several hundred metres the norm? Can it be calibrated to match the OS system of coordinates on the maps? I know that there are new GPS systems that show the map on the screen, but what about my etrex? And while I'm at it, can anyone lend me an etrex cable so I can connect to my computer. I lost mine and they're expensive! (I am in Dublin South) I once lost my watch descending Lugnaquillia via Ballineddin Mountain. 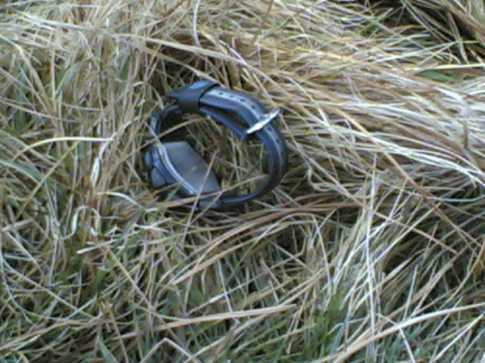 The next day I used my GPS to retrace my route and I found my watch about an hour up the mountain. The picture shows the moment of reunification! Does anyone else have such a heart warming GPS story?! !